Mark was born in Western Australia in 1961. After obtaining his diploma in graphic design (specialising in illustration), Mark began his professional career in 1981 as a freelance artist. He has worked in the advertising, publishing and editorial sectors in Perth, Melbourne and Sydney, Australia. Having worked as an illustrator/artist for over 20 years, Mark relocated to the UK in 2008 where he now paints full time. 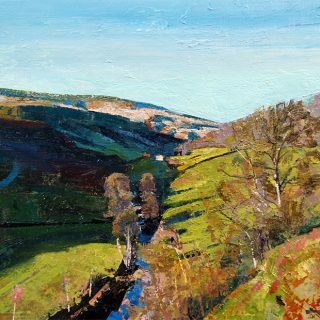 Mark’s paintings are inspired by the idiosyncrasies of the northern English and Scottish countryside, bringing to his work the fresh perspective of someone who originates from a very different environment. 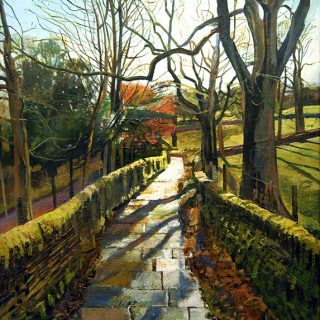 Mark works primarily in oils on canvas or on wood panel and enjoys exploring textures, colour and the intrinsic geometry of the natural world. 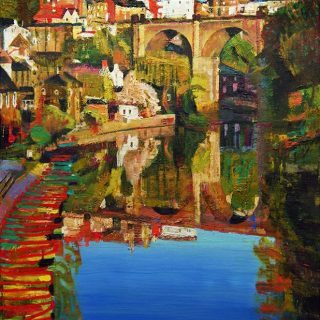 His use of colour is bold, direct and challenges the viewer to consider familiar landscapes in a very different way. 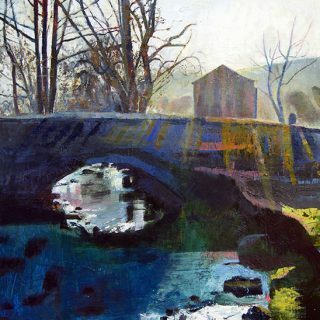 Mark’s paintings also explore figurative themes, applying the same approach as he does to his landscape pieces. 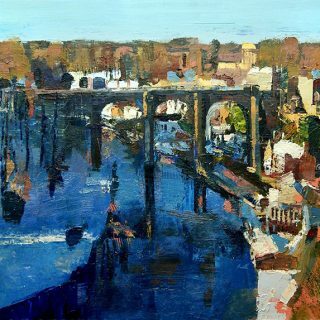 Mark is an exhibiting member of the Leeds Fine Artists (founded in 1874).